PLEASE READ THIS DOCUMENT CAREFULLY. BY SIGNING, YOU ARE GIVING UP LEGAL RIGHTS. (a) Participant. A Participant is the signer as well as any minors on whose behalf he or she signs. (b) Jumpstreet Releasees. The Jumpstreet Releasees are (i) Jumpstreet, Inc.; (ii) Jumpstreet, LLC; (iii) Jumpstreet13, Inc.;(iv) the owner/landlord of the jumpstreet premises; (v) the designers, owners, manufacturers, sellers, and/or installers ofthe equipment on the jumpstreet premises; and (vi) anyone who is an officer, director, shareholder, employee, agent, orindependent contractor of one (or more) of the entities enumerated in (i) through (v) here. WARRANTY. I warrant that I have the authority to sign on my behalf as well as on behalf of the minors listed below. IMAGES. I grant Jumpstreet, Inc.; Jumpstreet, LLC; and Jumpstreet13, Inc.as well as their officers, directors,shareholders, employees, and independent contractorsthe rights to photograph, videotape, and/or record me and theminors for whom I am signing and to use our names, faces, likenesses, voices, and appearances in connection withexhibitions, publicity, advertising, and promotional materials without reservation or limitation. (a) Assumption of Risk. 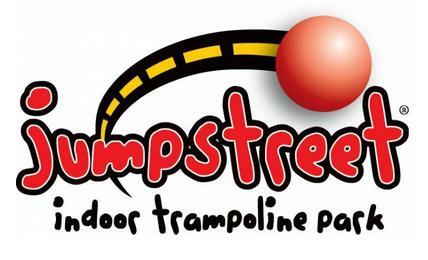 jumpstreet recommends that all Participants consult aphysician to determine whether jumpstreet activities and services are safe andappropriate. Participant has either consulted a physician or chosen not to do so.Participant understands that the jumpstreet activities, services, facilities, andpremises are potentially hazardous and involve risks of danger or injuryincluding(but not limited to) sprains, strains, fractures, concussions, contusions, lacerations,abnormal blood pressure, heart disorders, fainting, shortness of breath, chest pains,strokes, heart attack, or even DEATH. Participant understands that the description ofthese risks is not complete and that other unknown or unanticipated risks may resultin injury or death. Being duly aware of the risks and hazards associated with thejumpstreet activities, services, facilities, and premises, PARTICIPANT HEREBYVOLUNTARILY ASSUMES FULL RESPONSIBILITY FOR THE RISK of bodily injury, death, orproperty damage that occurs (i) in whole or in part due to the negligence of theJumpstreet Releasees and that occurs (ii) while Participant is in or upon thejumpstreet premiseseven if the bodily injury, death, or property damage is causedin whole or in part by the negligence of the Jumpstreet Releasees. (c) Covenant not to Sue. Each Participant hereby COVENANTS NOT TO SUE ANYOF THE JUMPSTREET RELEASEES AND RELEASES, WAIVES, AND FOREVER DISCHARGESTHE JUMPSTREET RELEASEES FROM ALL LIABILITY TO PARTICIPANT, his or her spouse,legal representatives, heirs, assigns, children, or anyone claiming by or throughParticipant, for any loss, damage, liability, claim, demand, action, cause of action,cost, or damages resulting therefrom, on account of injury to Participant's person orproperty that occurs while Participant is on jumpstreet premises, while usingjumpstreet facilities, or while participating in the jumpstreet activities or servicesincluding (without limitation) injury resulting in Participant's deathwhether causedby the negligence of the Jumpstreet Releasees, or any of them, or otherwise. (d) Indemnity. PARTICIPANT AGREES TO INDEMNIFY AND HOLD HARMLESS THEJUMPSTREET RELEASEES, and each of them, against any loss, damage, liability, claim,demand, action, cause of action, cost or damage (including claims brought byParticipants and third parties) resulting therefrom that Participant may incur due tothe presence of Participant in or upon the jumpstreet premiseswhether caused bythe negligence of the Jumpstreet Releasees, or any of them, or otherwise. GOVERNING LAW AND SEVERABILITY. Participant expressly agrees that this agreement (including its Exculpatory Clause)is intended to be as broad and inclusive as permitted by the laws of the State of Georgia, and that if any portion hereof isheld invalid, it is agreed that the balance shall, notwithstanding, continue in full legal force and effect.